To mark the 20th anniversary of DSquared2, the founder Dean and Dan Caten from Canada opened the first of their ‘European Concept’ store in London. The store occupies a prestigious site on the corner of Savile Row and Conduit Street. 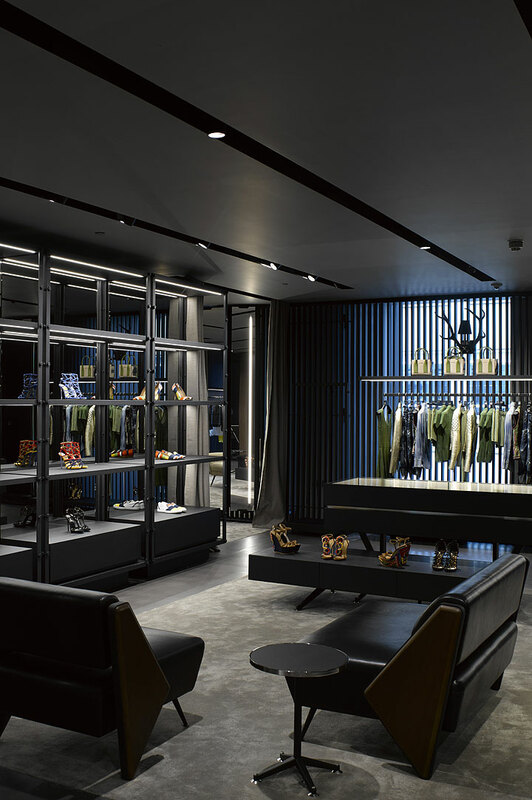 After the fit-out of their 4600m2 retail store, NLCE together with Pivotal International, provided MEP services for the new London design studio, which was previously located in a less formal setting in South Kensington. The design office on the third floor which extends down Conduit Street mirrors the elegant and sophisticated interior design of the retail space with dark wood, glass walls, gold mirrors and discrete lighting.